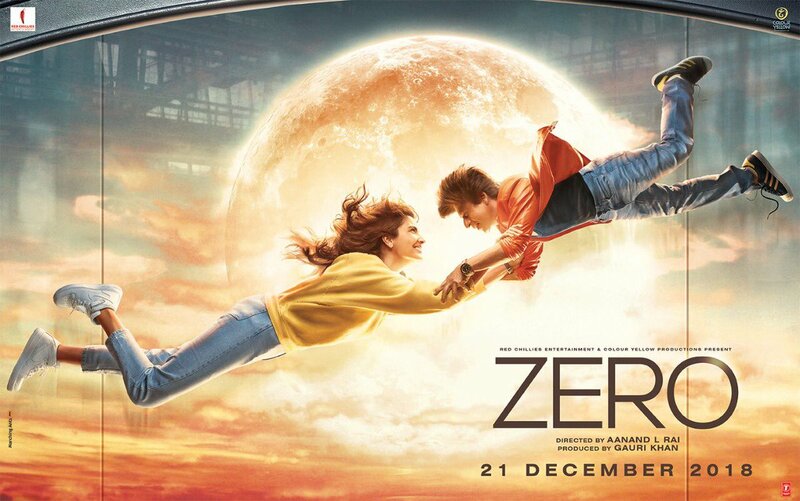 Check out the brand new poster of ZERO featuring Shah Rukh Khan & Anushka Sharma. LoL she won't. May be she will. Watch & find it out tomorrow. Anushka is dying in the movie. Its a spoiler. Gravity is coming from upward thats y her hair going upward.. Seriously RCE are crazy. Why are they revealing so much already? Check out the new poster of ZERO featuring Shah Rukh Khan & Anushka Sharma. Much awaited Mera Naam Tu tomorrow. Talking about insignificant. Here is the First look poster of Zero feat. Srk & Anushka Sharma. Mars Kis Taraf Padega. Check out the new promo of ZERO. Running in cinemas now.